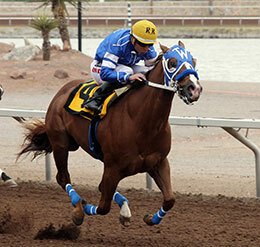 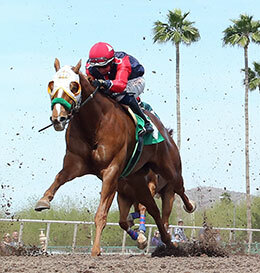 PHOENIX, AZ—APRIL 14, 2019—In the feature Quarter Horse race of the Sunday card at Turf Paradise, Unrestrained overcame a fractious start to prevail by a half-length in the $36,575 AQRA President’s Open Spring Derby. 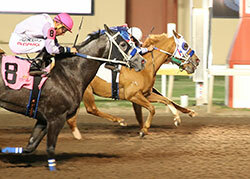 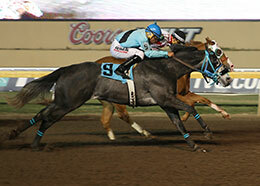 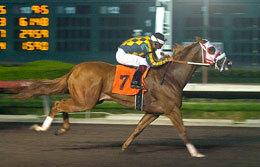 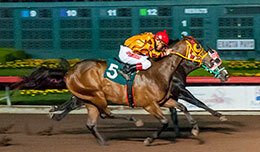 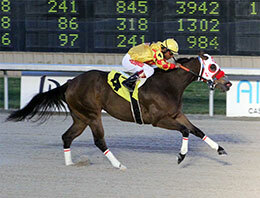 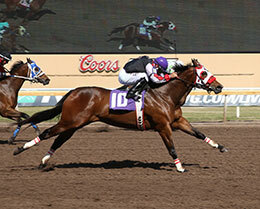 Jake Samuels guided the 3-year-old gelding to victory in the 350-yard final in 17.673, earning a 97 speed index. 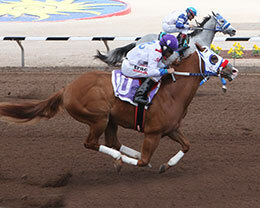 Unrestrained ($6.60) was the fastest qualifier to the final from three trials on March 31 with a time of 17.546. 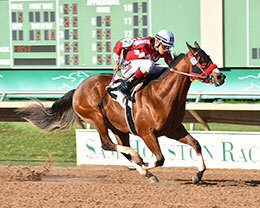 OGDEN, UT—APRIL 13, 2019—Trials filled the card on opening day at Weber Downs on Saturday; the track hosted five trials for the $33,800 Jake Kapp Maiden Frolic, then eight trials for the $54,100 Golden Spike Futurity. 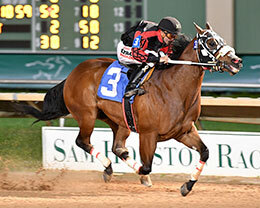 In the fourth of eight trials for the 2019 edition of the Golden Spike Futurity, Pitchforks Panther and jockey Carlos Guillen Chacon became the fastest qualifier with a time of 15.822 and an 89 speed index. 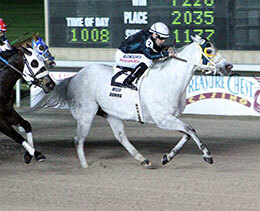 The winning duo finished nearly a length in front of second-place finisher Valentina Relentless, who was the fifth fastest qualifier in 15.919. 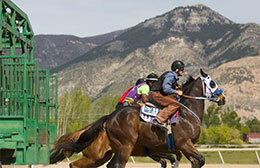 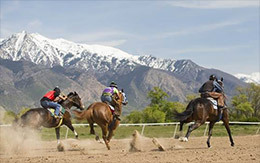 OGDEN, UT—APRIL 13, 2019—With chariot racing over for the season, flat racing returned to Weber Downs with trials for the $33,800 Jake Kapp Maiden Frolic (not black-type) on Saturday afternoon. 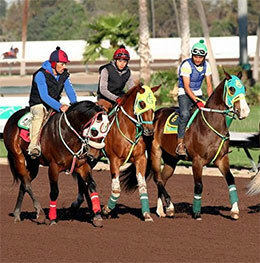 The trials were open to 3-year-olds and up who were maidens as of January 1, 2019.